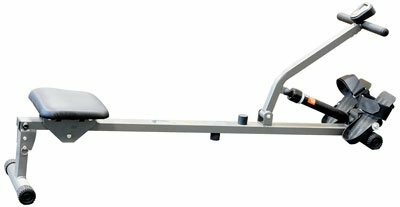 Is The V-fit Fit-Start Single Hydraulic Rowing Machine Too Much Of A Starter Model To Be Of Worth? 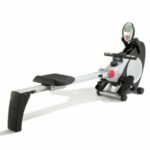 The V-fit Fit-Start Single Hydraulic Rowing Machine looks pretty much as basic as you can get with a rowing machine, which is why it has been a popular purchase with new users. There is nothing about this design that is intimidating to first timers. We have the simple rail, a stabilising frame, the seat, handlebars and a small console. It is designed as the ideal user-friendly model for the home, but are buyers happy with what they receive? 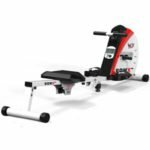 What benefits have buyers noted when reviewing this V-fit rower online? There are some positive report about this machine from those that have brought it into their home for some basic daily exercise. The product appears to be pretty easy to use and it doesn’t take long for newcomers to get the hang of how it all works. The console is standard and functional. It is light enough to move around and there is a decent workout to be had. There are 12 resistance setting via an easy-adjust twist features, five different areas of data on the console and a weight of just 10.5kg. Then there are the comfort features, which also seem to go down well, such at the footstraps and padded seat. There are comments from older users that have fallen out of exercise regimes that are using this to get back in shape. Those that keep up with the daily regime are seeing improvements in tone and weight loss. It also doesn’t seem to be too difficult for users to put together, although there aren’t that many parts to the machine. 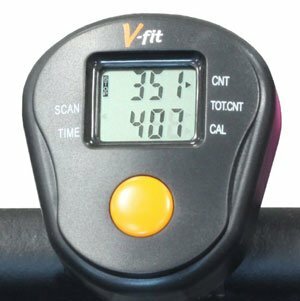 Are there any clear disadvantages to this V-fit Fit-Start Rowing Machine that may lessen its appeal? The reviews are pretty mixed for this machine. While there are many 5 star reviews from satisfied buyers, there is also a significant percentage of 4 and 3 star reviews from those that are less convinced. For many, it is a case of this feeling and acting like the cheap machine that it is. There are some comments that it feels a bit unsteady, especially compared to more substantial machines that may be found in the gym. This is seen in the frame and the seat, which can put some users off their rhythm. The low user weight capacity of 100kg doesn’t help here. Then there is the fact that it simply doesn’t do as much as some other models. There are some that may shrug this off as the norm for a beginner model. The problem here, however, is that there is no real chance for progression. The resistance options are minimal and don’t offer enough of a challenge for the average user. Summary: how do these mixed reviews affect the final verdict on this V-fit Fit-Start? In the end, it seems that while there are many people that like this machine, there are few that would say that they love it. Many give it 5 stars for providing what was promised and giving a basic rowing function, but there are no comments about any amazing features or programs. 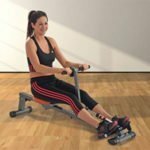 This V-fit rowing machine is definitely a budget model for beginners that have never used a rower at all. The motion, user-friendly features, weight and data are benefits, but it really need something more to be a 5 star option. 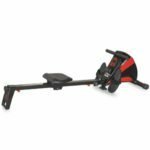 You can find more customer reviews about the V-fit Fit-Start Single Hydraulic Rowing Machine on Amazon here.